True colours of the North Cyprus coastline in all its vivacity can be discovered only if you experience it at first hand on a boat trip. 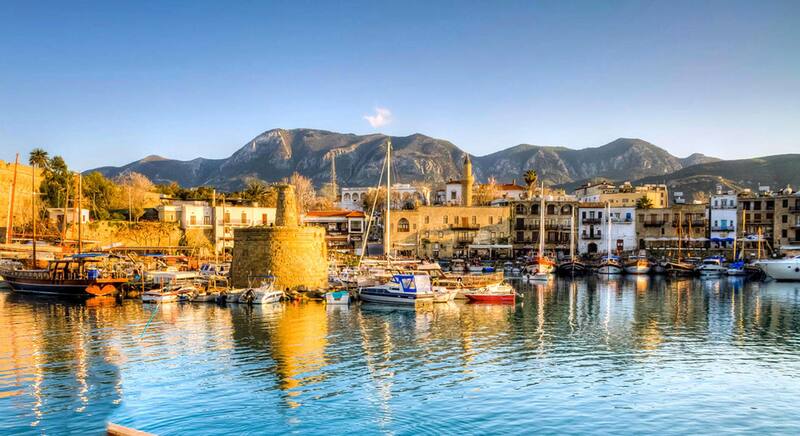 Exploring Kyrenia coastline, sunbathing, swimming and water sports are all available on a Kyrenia boat trip. Join the North Cyprus boat tour on offer and laze in the sun enjoying a cold beer or a gin tonic served from the bar on-board or take a dive if you wish, or swim in the coves where the gentle waves will lure to the beach reachable with an easy swim stroke. We can organize a boat tour catering exclusively to your demands. Menus of your choice, Delicious starters/ mezes (local delicacies), main course of fresh fish, chicken or meat cooked on board for you to enjoy served with all trimmings, followed by a cold refreshing slice of water melon. For groups you can hire the boat for the day and it can pick you up from a point and drop you of at a point of your choice the boat will be at your disposal thus making your own itinerary. Please contact for details as prices depend on the number of persons. Price: £25 per person including lunch on the boat.